Congratulations on your engagement! Now, all you have to do is pick a date, find a venue, decide on a caterer and a wedding cake baker, and….wow, that’s a long list! If you are planning an outdoor or backyard wedding, the list gets even longer. Fortunately, you’ve found J & J Tent and Party Rentals – your all-inclusive solution for everything you need for a perfect wedding. We offer wedding tents, linens, tables, chairs, glassware, decor, dance floors, and all of those extras to make your wedding extra special! Planning and outdoor wedding in Raleigh, NC? You can control many things in life, but you cannot control the weather! It is always prudent to rent a tent. 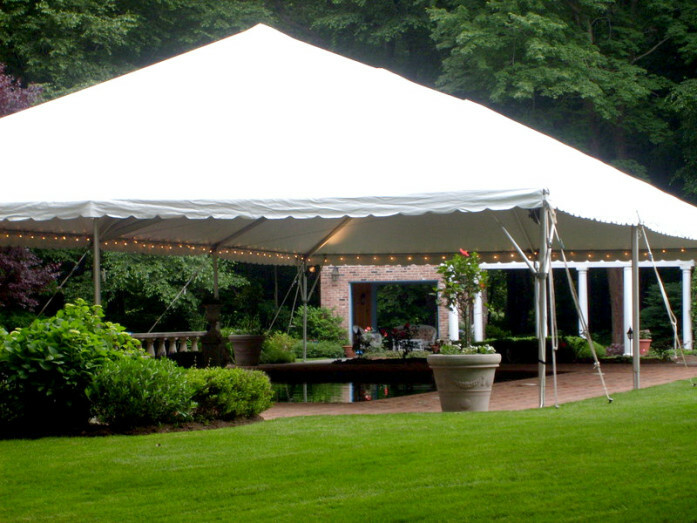 Even if the sun is shining and it’s 70 degrees outside, your guests will be more comfortable under a shelter. Pole tents have a traditional tent appearance with a swooping roof. These types of tents are aesthetically pleasing and have a faster set-up time, but do require clearance on all sides for stakes and anchor ropes. Consult with your wedding venue to ensure you have enough space for a pole tent before choosing this option. 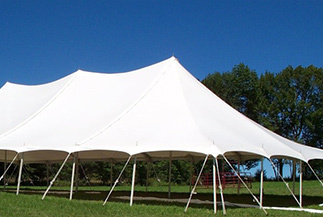 Frame tents are constructed with aluminum poles and fabric. 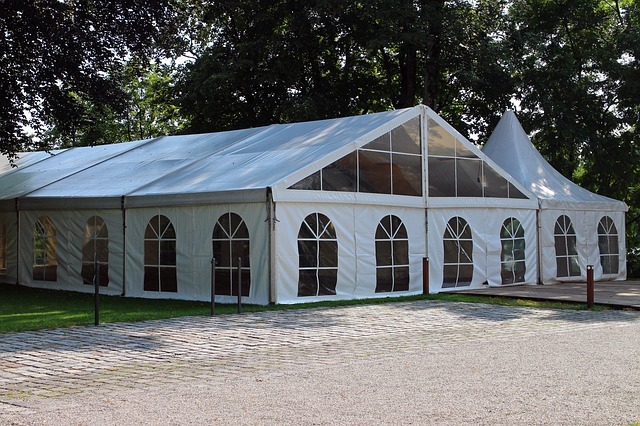 This is one of the more versatile tent styles, as different frame tent structures can be attached, so if you wanted to have a separate space for the ceremony or a food prep area for the caterers, this type of tent makes it possible. 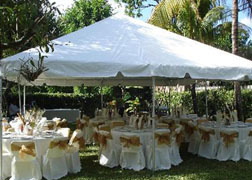 Frame tents can also be constructed on any surface. Combine the versatility of a frame tent with weather proof walls! These types of tents are a great option if you are planning an outdoor weather during one of the cooler months. We offer several types of walls: Cathedral Window, Mesh or Solid White sidewall. 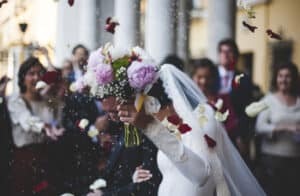 Whether you are planning a large wedding or a smaller, more intimate affair, the event planning experts at J & J Tent & Party Rentals will help you determine what you need. We offer tents ranging in size from 10×10 to 40×160 and beyond. 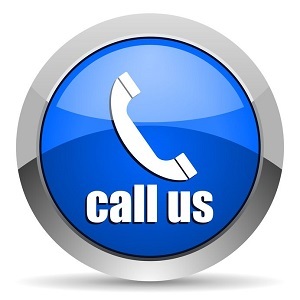 Call us at 919-977-3691 or visit us in person at our Raleigh location. Weddings are joyous, celebratory occasions, but the party can go on for quite a while and you want your guests to be comfortable. J & J Tent and Party Rentals offers many options for wedding tables, including round tables of various sizes and long rectangular tables on which to serve your wedding banquet. For a touch of class, check out our cocktail tables and chairs as well. For seating, offer basic options such as folding chairs, or higher-end padding chairs, which provide additional comfort and elegance. You have the wedding tables and chairs, but now you need to make them look fabulous! 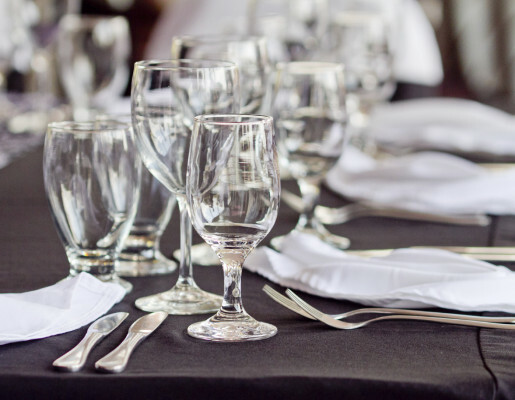 We offer wedding linens such as tablecloths, runners, chair covers, and other accessories on a variety of fabrics and colors. When deciding on linens for your wedding, we recommend that you come to our Raleigh location so you can touch the fabrics and see the colors in person. For a seated dinner, you’ll want to “wow” your guests with the perfect table setting. Be inspired by our selection of glassware, plates, napkins, and wedding centerpieces. You’re table settings will be Instagram-worthy for sure! Check out our gallery to see how our previous clients used their creativity. What’s a wedding without dancing? 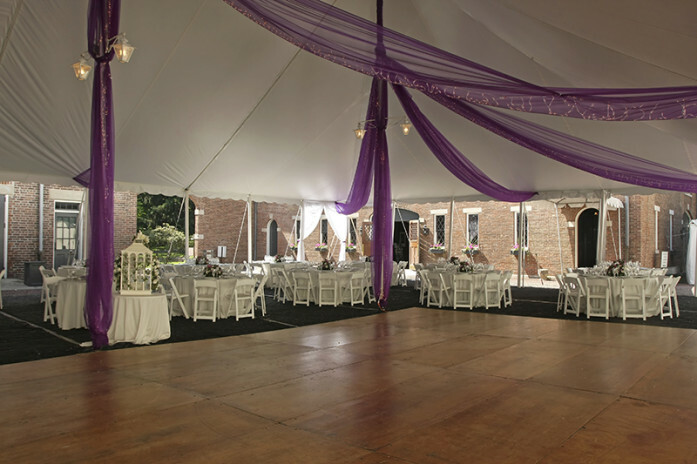 J & J Tent and Party Rentals provides indoor and outdoor dance floors in a variety of sizes. We also offer staging and lighting if you want to add some pizazz to the dance floor. Who doesn’t love a disco light or a chandelier? Want to include a slide show of all of your happy moments as a couple? Check out our supply of audio and video equipment. We can’t wait to hear about your wedding plans and how we can help bring your dream wedding become a reality! If it’s after hours just fill out the form above and someone will call you back to go over everything with you the next business morning. Feel free visit us at our Raleigh location so you can see our rental options in person or give us a call at 919-977-3691.